Termites can destroy homes and other structures. Since termites chew wood from the inside out, they often go undetected until significant damage has occurred. Acquiring the services of a pest control company is often necessary to fight this damage-causing pest. But getting rid of termites and keeping them from coming back is a difficult task. So what can you do to make sure the termites don’t return? A termite bond may be the answer. 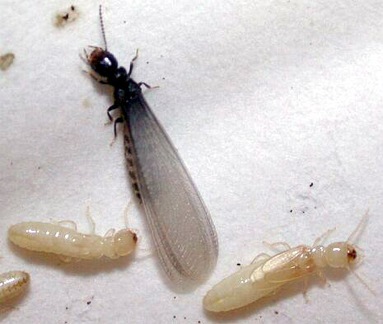 Many pesticides used to treat termites work for different amounts of time. The recurrence of termites also depends greatly on local conditions like soil and weather, making it hard to predict the effectiveness of a termite treatment. This is why a termite bond is important. 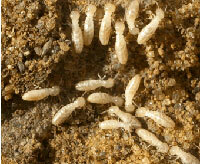 Termite bonds are an agreement that is made between you and the pest control company. The bond works like insurance. 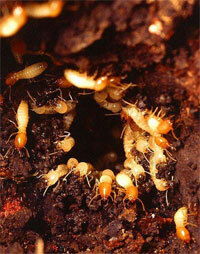 If termites return after treatment, the company will treat the property again. Many bonds offer free annual inspections and, in the case of recurrence, offer to repair damage that has been done since the last inspection. All termite bond companies are different, so you want to contact a couple to check and compare their prices. Costs for termite bonds will also vary depending on the state and region of the building to be bonded. Some may be offered for $100 a year; some for $1000 a year. If you live in a high-risk area, paying what seems like a high price may be worthwhile. Damage done by termites can lead to thousands of dollars in repairs. A termite bond can also benefit people who live in areas at high-risk of termite infestation but have not yet seen damage. If a bond offers regular inspections, termite damage may be prevented, saving a homeowner thousands of dollars. 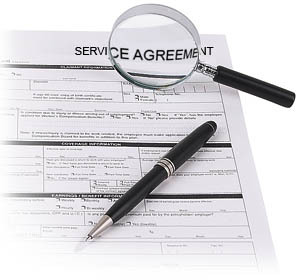 Contract lengths also vary, but often run up to five years. If you are planning on moving to a new home, be sure to find out if the bond is transferable. Also, make sure you are happy with the company. If you don’t like the initial work the company did for your home, you probably will not want to continue the working relationship. Every company is different in what it offers, so it is worthwhile to research terms, costs and contract-length before making a final decision.